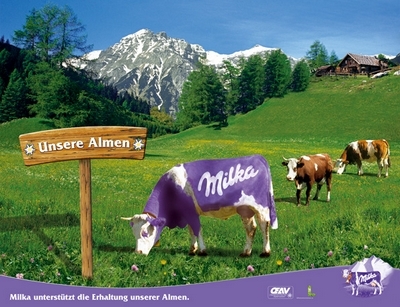 This week I have come to Thun in Switzerland, which looks just like the illustration on the front of a Milka bar. Here in the foothills of the Alps I have been submerged, you might say rebaptised, into the strange world of professional Christian poverty-fighters. We’re an odd bunch: an eclectic mix of 320ish people, of more than 50 nationalities, gathered daily around tables with our regulation conference bag and some strong Swiss coffee. The Micah Network. At the beginning of these events I often look around and wonder “how has this become my world?” (After 8 years, I figure I need to own up to it, to some degree). But then in amongst the strange lingo, the hodge-podge of language and culture, and the complicated schedule (which really has to run on time or the Swiss get anxious), there are moments of transcendence. One morning we heard from a Russian former-communist who shared his experience of becoming a Christian and being sent to prison camp in Siberia. One night his teeth were punched out individually while a Muslim was made to read him the verse in the Bible commanding him to turn the other cheek. He told us that the ability to love and to forgive does not come naturally, but is a miraculous gift of God. Compassion, in this man’s mouth, was not pity or soft-heartedness. It was a costly and painful transplant that stopped the fist of the guard: “Stop LOVING me”. Another women shared how many years ago her husband had left to look for work in anther country, never to return, and she had so little to offer her children she was on the verge of having to feed them grass. Her pastor told her that her suffering was brought on by her own sin. Amazingly she was able to start a small business with other women in her community, and was supported and trained by an international organisation, and years later was able to love and support her pastor’s family when they lost all they had. She had held nothing against him. That is compassion that costs us our perceived rights to grudges and retribution, at our hands or anyone else’s. At its best moments, this conference has not been about my professional work. It has been a gathering that has spoken of hearts and asked something deeper and more significant that my conscientious efforts from 9-5. Even today, as I chatted to a wonderful, anarchic Aussie friend, I was struck by the reality that this depth of compassion is never something that can be transmitted fully by an organisation or programme. It is necessarily personal. I love the line in the film ‘You’ve Got Mail’ when Meg Ryan’s character criticises the company who put her out of business for saying “it’s not personal, it’s business.” “What’s so wrong with being personal?” she asks. “Whatever else something is, it ought to begin by being personal”. And maybe it should stay personal too, somehow. You can probably tell that it’s personal stories that have struck me most deeply this week. They humble me. And I realise how much they have changed me in the last eight years. This strange group of people have, in that time, re-shaped and anchored the way I see the world. Not just this particular group of conference delegates, but the wider family of which they’re a part. And my challenge is not to let these people, these truths and experiences, settle slowly like sand on a seabed into a generalised attitude or posture in the world. It has to become more personal, not less.